A dermatologist is a trained physician who specializes in all conditions related to skin and nails. Diagnosis of the condition, treatment of the condition and even reconstructive procedures can be administered by a dermatologist. With changing lifestyles, increased exposure to pollution, stressful living conditions, health deterrents that can cause hormonal imbalance and use of chemical products on skin, the need for a skin specialist is undeniable. The diagnostic and corrective procedures involve treatment of skin conditions caused by diseases, injuries and metabolic or hormonal imbalances. These include diseases like Psoriasis (excessive production of skin cells, causing formation or red and silvery white lesions), facial acne and acne in other parts of the body, skin tags, warts, skin cancer, fungal infection, etc. 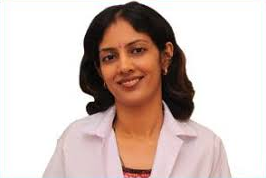 Dermatologists in Andheri East also offer specialized aesthetic and reconstructive treatments. These can be both surgical and non-invasive in nature. Treatments are offered for reducing signs of age, fat reduction, disease or injury induced scarring and deformation. Surgical procedures include liposuction, surgical face lift, skin grafting, etc. Non invasive procedures include laser lipolysis, Venus fat freeze, Ultherapy, Botox injections, micro-dermabrasion, chemical peels, facial fat grafting, facial filler injections, skin contouring, laser facial hair removal, laser scar removal, etc. But before you consult a dermatologist for any of your skin concerns, always determine the experience and expertise level of the dermatologist. Dr. Rinky Kapoor offers the best dermatological solutions, using approved treatment methods and customizing solutions as per patient’s needs.